Indian Silk House Agencies takes utmost pride in its policy making since all its policy is designed to benefit its Customers. Every transaction by a Customer is not a sale for us but it is an investment for us. That’s how Indian Silk House Agencies is able to build a Brand that is known for its Trust, Quality & Value! Our primary goal is to satisfy our customers. Hi! 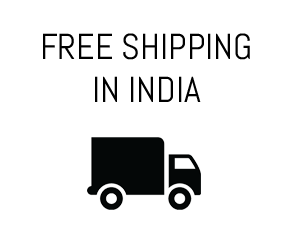 I am buying from your Website for the first time – what if I don’t like product? Can I exchange it? Yes, absolutely! If you don’t like the product that you have purchased, you are free to send it back to us within 30 days.Just report the return to us within 24 hours of receiving the product. You may call or email us to process your request. Also make sure that if you intend to exchange the product, the product is not opened and is kept exactly in the same state as it was sent to you i.e. in a new condition without opening or altering its folds so that we can onward use it! We will not be able to, for obvious reasons, accept any exchange of products that have been damaged and are not in a new condition or have been tampered with. We request you to confirm before sending the parcel back to us .Please note that after the initiation of reverse pick up, it would take around 2 – 3 days for the item to be collected from the destination address.We usually take 1 day but it may extend to 2-3 business days to assess the product sent by you for exchange, are satisfactory for us to accept. We accordingly will inform you and issue you a Credit Note that you can use to buy another Saree. If the new saree that you are buying instead of the old is priced higher, you will, obviously, have to pay such differential amount. How will I send the product back to you if I want to exchange it? Simple, just email us at info@indiansilkhouseagencies.com or call our Helpline at +91 98365 07444 with your order no. and product details and we will send someone to collect the Parcel from your address. What if I want to exchange a Saree and do not like any sarees on your website, can I visit your showrooms and exchange the Saree? Absolutely, you can come to any one of our showrooms (as shown in our website) and choose any product that you desire to exchange your Saree with. No problem! What if the Saree that I receive has a manufacturing defect or damage? What will I do? Go on your computer and email us or pick up your phone and call us on the contact details and we will ensure that the Saree is promptly collected from your address. Don’t worry, you don’t have to bear any cost for the same. It is our fault and hence, we will pay for everything and ensure that a defect / damage free Saree is resent to you promptly. We request you to inform us within 24 hours of receiving such defected / damaged Saree. What if I receive a wrong Saree? Although, this usually would never happen but if it does then just email us or contact us on our Helpline and we will ensure that someone comes to your address and collect the wrong Saree sent to you. Don’t worry, you don’t have to bear any cost for the same. It is our fault, we will pay for everything and ensure that the right Saree is delivered to you. Will I get my money back if the Saree is damaged and you cannot give me another piece? For return of any product having manufacturing defect or damage, we would make our best efforts to ensure that the same or similar piece is sent to you. However, if you are unsatisfied, we will ensure that your entire money is refunded to you without any deductions. We will take 7-10 working days to process the same. The balance amount shall be refunded in the same mode as your mode of payment i.e. if you paid by a credit card, the money will be refunded to the same credit card. For exchange of sarees that you have ordered and later have decided to change it,we shall ensure that you are provided with all the assistance to see a varied range of our collection so you can choose another saree. However, should you still decide not to choose any saree, we shall issue you a Credit Note in your Account ( usually it takes 5 -7 business days to issue the Credit Note ) that you can later utilize / redeem when you make an online purchase. Who will pay for the shipping cost for exchange / return of products? If there is a defect or damage in the saree that you are retuning / exchanging or if a wrong saree is sent to you then we will pay for the to and fro shipping cost of the Saree. If you are exchanging the product that you do not like, you will have to bear the to and fro shipping cost.We request you to please confirm with us before sending the parcel back. For domestic customers, we do have the facility ofgetting the reverse pickup done. Please note that the reverse pickup charge is Rs.250.After it is done, it takes minimum 72hrs for the issuance of the credit note or the cash refund. 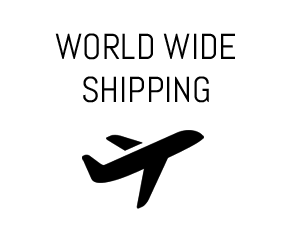 For international customers, the product will have to be sent to us from a registered courier company within 30days after receiving the parcel. Once we receive the parcel, it is sent to our Quality Check department for examination. 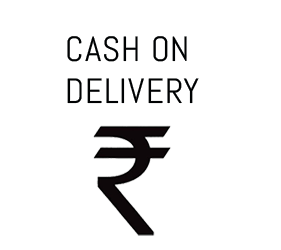 Depending on the result, we issue Credit note or Cash refund accordingly. Can I use Gift Vouchers on the exchanged product? 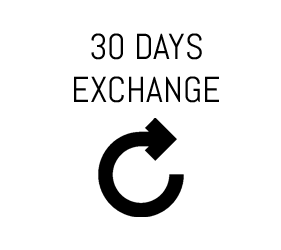 No, you cannot use any gift vouchers for the differential amount of the exchanged product. 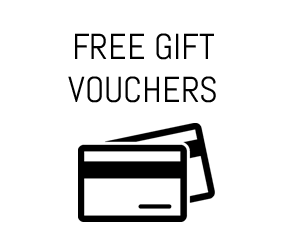 Gift Vouchers can only be redeemed when you make a fresh and new purchase. What if I get Fall/ Piccodone on my Saree, can I still exchange my Saree? Fall / picco on a Saree requires cutting the blouse piece of the Saree. Therefore, the Saree is considered to be not new from a consumer perspective. So, no, you will not be allowed to exchange the Saree once you have asked us to do Fall/Picco on your Saree. What if I want to Cancel an order after placing an order and making the payment? After you have made the payment, you will have a time period of 24 to 48 hours (depending on the shipment status of the product) to Cancel the product. If however, for any reason the product has already been shipped within the said 24 to 48 hours, then you will not be able to cancel the product. If the product has not been shipped, then you will be able to cancel the Order by emailing us at info@indiansilkhouseagencies.com or call our helpline at +91 98365 07444. If your Order is elgible for cancellation and is cancelled, you will receive the total amount paid by you less cancellation charges of 7%. The balance amount shall be refunded in the same mode as your mode of payment i.e. if you paid by a credit card, the money will be refunded to the same credit card. The refund shall take 7 to 10 working days to process depending on our payment gateway. Do you have any disclaimers or any other terms and conditions that I should know, specially for colours& Zari work? Yes, we have a few things that you should know that are a little technical but are important for you to be aware of before you make a purchase from us. The weight of the products displayed on our website is only an approximate figure and takes into account all packing materials etc. The description of the product stated on our website is as per how we understand the characteristics of the product. Most importantly, the description of the colours may slight vary – although we put in our best efforts to ensure that the variation is minimal but still the same may vary depending on the screen on which you view the product, the resolution, colour settings etc. Also, the colour in the picture of the saree and the actual colour may sometimes vary – depending on the colour – due to various standard factors such as lighting, photography etc. There is nothing much anyone can do about this but once can only ensure that the closest reproduction of the colours are displayed. It is, in fact, impossible for any person to ensure that the actual colour as seen by the naked eye is what is displayed across all computer screens. The moment a picture is taken, there is a colour variation and then the screen you use further varies the colour. That’s how it is and we assume that you are well aware of the same. We however, always will make our best efforts to ensure that the colours are not wholly misleading. Further, the characteristics and features of certain products are also points that need to be considered when making an online purchase. There are certain fabrics that have unique characteristics such as raw / khadi silk, brocade and other similar fabrics – which have a textured effect. You may not be able to clearly see the same in the picture. We would like to clarify that the same are not defects but are inherent characteristic of such fabric and we assume that you are aware of the same. Sometimes you may see that the threads are hanging from a Saree – please be aware that these are not defects but is the nature of the product because these Sarees are put in a loom where the warp and weft ( threads ) are entangled / crossed over to create the saree and the hanging threads are nothing but such threads which can remain or else cut off gently without pulling it. It is considered to be common knowledge for women wearing sarees. All handloom products meaning all work done by hand on a Saree will always vary from piece to piece for the obvious reason that the work has been done manually and will vary from person to person. Although, the difference will be minimal but there always will be a minor difference and variation in the design etc of the Saree and that’s what will make the Saree unique and that’s why people from across the world desire to own handloom products and especially handloom Sarees. Can I exchange/return pre-stitched saree/customize blouse? No.Making a pre-stitched saree/stitching blouses requires the customer’s measurements. And measurements are not the same for every customer. So if you request for a pre-stitched saree/blouse stitching according your body measurements, we won’t be able to exchange/ return it.